There is nothing bullish happening on the gold and silver charts. Nothing bullish on the miner Index/ETF charts. Nothing bullish on the HUI/Gold ratio. In other words, when it comes to a segment as volatile and sentiment-dependent as the precious metals, we are in the kill zone. That can be read a couple of different ways. First, the inflationist gold bugs are getting exterminated as the US dollar first rose and since has stubbornly refused to take a pullback. But the time to buy the gold sector is pretty reliably when the bugs are dead or at least hiding deep in the woodwork; so deep that you�d not even know they are still there. Just as you should have caution when gold bugs are trumpeting loudly, you should be brave when they are in full retreat� or worse, dead. So the �Kill Zone� can also be viewed as an opportunity, like when a target is �in the kill zone�; and from the perspective of the following charts and graphics, the sector is in that zone now. Gold has dropped persistently and taken out a would-be higher low (to December). It has become oversold with a little bit of positive RSI divergence and ADX showing fully bearish momentum. Why, it�s bad out there! The daily chart does not show it, but there is longer-term lateral support just above 1200. Gold�s �higher highs, higher lows� uptrend is broken. But again, we are talking a �kill zone� here, not nice and comfy trends like those afforded the stock market. It never was gonna be easy. The gold sector bottoms amid agony, pain and doubt. The level of enthusiasm for US stocks is becoming frenetic and overbought as Monday�s post points out. This is reflected in an approach of the target zone we�ve had since Amigo #1 took out the old Fear Gap. Will speculation lurch to the upper gap? Could happen. Is risk to a full bullish stocks/bearish gold view high? Oh yeah. A reminder that gold on average bottoms in July and turns up in August, per Sentimentrader�s data. Gold�s CoT, which is in essence a sentiment indicator focused on Large Speculators and Commercial Hedgers shows an alignment approaching late 2015, which preceded a big upturn in the precious metals complex. This was eventually ruined by the inflationists who touted everybody in while we cautioned the opposite. See: AMAT Chirps, b2b Ramps, Yellen Hawks and Gold�s Fundamentals Erode (May 30, 2016). The ill-conceived promotions of 1st half 2016 needed to be closed out and that is what is happening now. Silver as well took out its �higher low� parameter but remains in a long consolidation of the post-2016 mini-hysteria. It�s oversold also with a bit of positive divergence (by MACD). Here is the long-term chart. 2016 was a �too much, too soon� event as silver quickly took over leadership from gold (amid the launch of the inflation trade) that has been getting worked off for seemingly, ever. But silver, let me introduce you to long-term support. Silver�s CoT is very interesting in that it is mimicking to a degree what it did in 2015, prior to the big upturn in early 2016. The positioning became extreme early in 2015 as it did back in late 2017. A small rally ensued, which was corrected to new lows before the alignment made a secondary signal at a much less compelling juncture. That appears to be what silver�s interplay between Specs and Commercials is doing now� as the price makes new lows. As I said, it�s interesting. Moving on to the miners, let�s keep it super simple (i.e. not comprehensive analysis by any means). HUI has eased to the kill zone, which includes support points going all the way back to 2002. Now, support is not a finite or conclusive thing; it is a �would-be� thing. This would be support based on historical price activity. But the title of this article is meant to show that things do not usually go easy for the metal that is reviled in the world of complex paper and digital leverage for its heavy, stupid simplicity. That goes double for its miners when the macro fundamentals are not in order because the miners would leverage gold�s standing within the macro. That leverage cuts both ways. Since mid-2016 it has been cutting to the gold bug extermination side. So when they tout about inflation or �Chindian love� or other rationalizations to drive gold stocks up, the proof is laid out above that it is time to be cautious. Right now we are simply noting that sentiment and even some technical ducks are in a row and we watch for some moves out ahead that could shift the Macrocosm to a more favorable alignment. The bigger the planet, the more important to the precious metals� case (�yield spreads rise� is actually yield curves steepening, or our Amigo #3). Extremes are being reached in stock market optimism vs. gold�s �do nothing� defensive nature. The seasonal pattern for gold is positive. 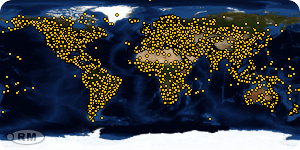 Commitments of Traders alignments are positive for gold and �interesting� for silver. The sector and macro fundamentals are at this snapshot in time, very negative. The sector is technically oversold and at long-term support. Risk vs. Reward players should be at the ready. Personally, I am slowly tucking away quality exploration and junior miner situations (we chart �em each week in NFTRH). This requires thinking like a predator, not a victim and a longer-term view. So the work is arduous and patience and perspective have been Things 1 & 2 because we would-be gold bugs are certainly not being positively reinforced by the herd right now. At this moment in time the bullets are still flying � or should I say the Raid is still spraying � across the macro. Why, it�s like Combat out there. That should one day be fleshed out as having been a big opportunity for those able to get outside the herd. Meanwhile, take heed of the parameters above. We are in the kill zone, but it possible for it to extend longer and/or deeper than one might think. The content on this site is protected by U.S. and international copyright laws and is the property of GoldSeek.com and/or the providers of the content under license. By "content" we mean any information, mode of expression, or other materials and services found on GoldSeek.com. This includes editorials, news, our writings, graphics, and any and all other features found on the site. Please contact us for any further information. The views contained here may not represent the views of GoldSeek.com, Gold Seek LLC, its affiliates or advertisers. GoldSeek.com, Gold Seek LLC makes no representation, warranty or guarantee as to the accuracy or completeness of the information (including news, editorials, prices, statistics, analyses and the like) provided through its service. 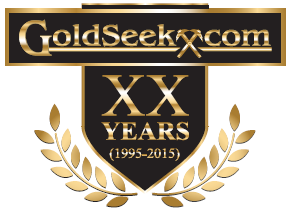 Any copying, reproduction and/or redistribution of any of the documents, data, content or materials contained on or within this website, without the express written consent of GoldSeek.com, Gold Seek LLC, is strictly prohibited. In no event shall GoldSeek.com, Gold Seek LLC or its affiliates be liable to any person for any decision made or action taken in reliance upon the information provided herein.